Description: Compact design makes it ideal for operations in narrow aisles or spaces. This Motorized hydraulic elevator is made up of stronger and rigid manganese steel. With a motor device and a spring towing handle for pulling, pushing & steering the table, it can save man power a lot. Suitable for one single person operation, mainly used in airports, convention and exhibition center, hotel, supermarket, factory, warehouse, station, dock, station and other places for material handling or fixing or construction. All the parts are designed so that the forces do not exceed half the yield strength of the material used. The elevator is fitted with overload valve and slow lowering valve to control the lowering speed. It can be fitted with many extras including roller tops, bellows, ball tops etc. The upper and lower chassis will be oversized. The upper chassis plating is smooth metal plate at least 6mm thick. The electrical cabinet and systems as well as hydraulic gear will be mounted on the chassis. The plate will be elevated by actuating 2 single-action hydraulic jacks acting directly on the lifting arms guided by the roller bearings, smoothly lifting up and lowering down. All steel tube cable outlets will be protected by insulating ferrules. The control button box is both at ground and platform for convenient and control. It has many commands, door to lock, protection from rain, moisture and dust. 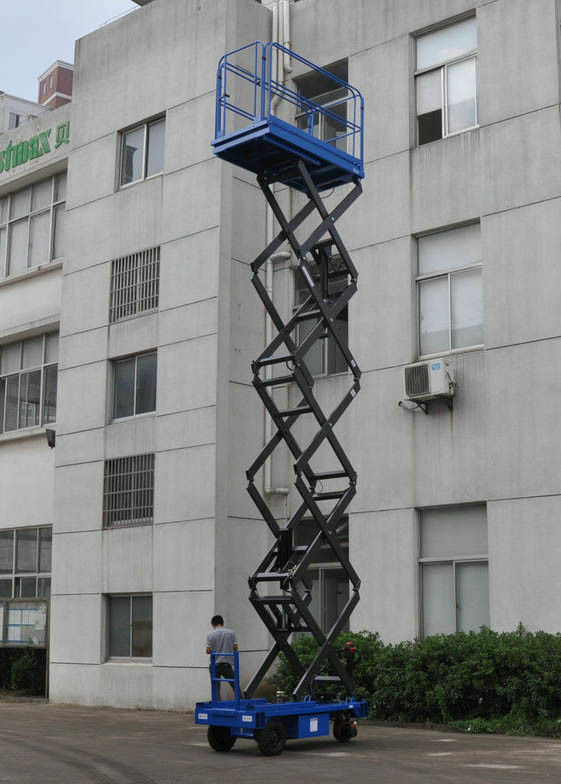 Why to choose Xunte Motorized Scissor Lift? Thank you for your reading and welcome your inquiry. We will respond you as soon as possible. 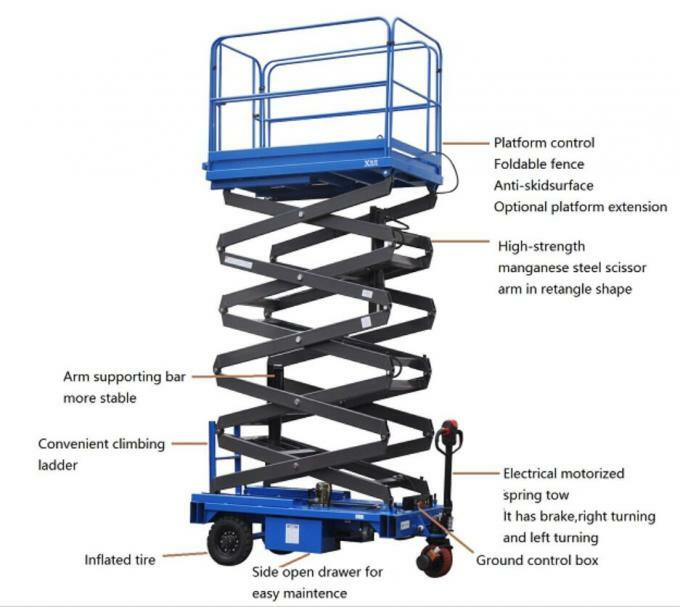 China Good Quality Mobile Scissor Lift Supplier. Copyright © 2014 - 2019 hydraulicliftplatforms.com. All Rights Reserved.